I was so relieved to see that this week's recipe for Baked Sunday Mornings didn't actually require any BAKING. My oven fizzled out on July 4th mid ribs, and the repairman can't come til Tuesday. Besides, with it being a balmy 92 today, I felt it a plus to keep the house as cool as possible! This week's recipe is for Malted Vanilla Milk Shakes, from Baked Elements: Our 10 Favorite Ingredients. I have always loved malt, even as a kid I'd eat malted milk powder by the spoonful. So any recipe using malt definitely peaks my interest, anytime. The recipe suggests crushing Whoppers with a mortar and pestle - but I'm not that fancy so I just used the blunt end of my French rolling pin in a cereal bowl. It also calls for one vanilla bean scraped of its seeds. Luckily I had two on hand that I had purchased at Home Goods...$3.99 a bottle for TWO decent sized pods. That's the cheapest I've found them anywhere. Because I needed to make a third batch, I used 1 tablespoon of vanilla bean paste in place of the fresh beans. I think the shakes with the freshly scraped vanilla beans were more flavorful than those with paste. But, they were both REALLY GOOD. 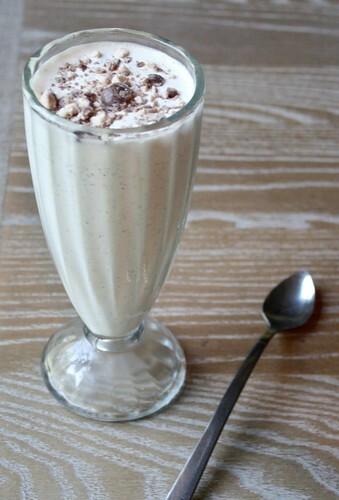 THE RECIPE: Malted Vanilla Milk Shakes. Your shakes look fantastic!! And I love the pic of all your testers So cute! It really was nice not having to bake a recipe. 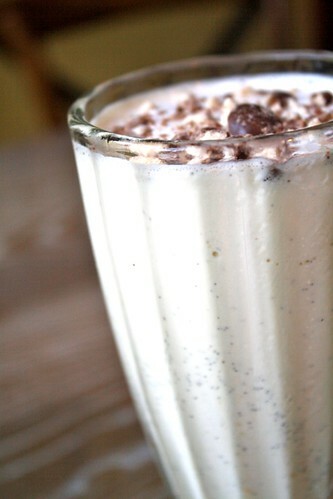 These are good shakes and no doubt I'll be making again! Your shakes look so good! I loved them as well! So adorable! And the shake looks amazing! Super cute testers! I was glad we didn't have to bake this week as well...I had tons of other stuff to bake! 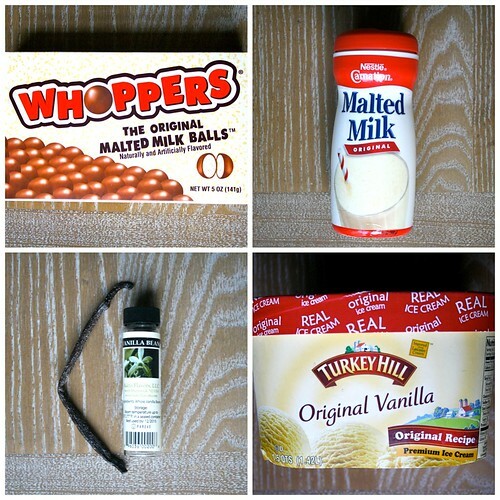 Try Amazon for vanilla beans! The price is SO much cheaper - you have to buy somewhat in bulk, but I've found it to be totally worth it! !